Our group classes are some of my favorite moments of sharing the practice of yoga. Over the years we have created a nutrient rich community that thrives off of the commitment and energy of everyone involved. It is an incredibly diverse community, always growing, shifting, changing and discovering. I pride my self on the inclusivity of my classes -- no matter your age, "level" or physical mobility, you have a space in my circle. This is a gentle yoga class, suitable for beginners and experienced yogi's alike. Classes run in a 6-10 week series (Wednesday and Friday are a separate series) and are prorated. Contact the Bayville Library to check availability as space fills up quickly. You'll need to bring with you your yoga mat and a yoga blanket (or a thick beach towel). Blocks and straps have been purchased with the generous donations of students. This is also a gentle yoga class suitable for ANY and ALL levels: beginners to advanced. Classes run as a 10 week series (each day/time is a different series) but sessions can be prorated. Contact the Locust Valley Library to check availability as space fills up quickly. 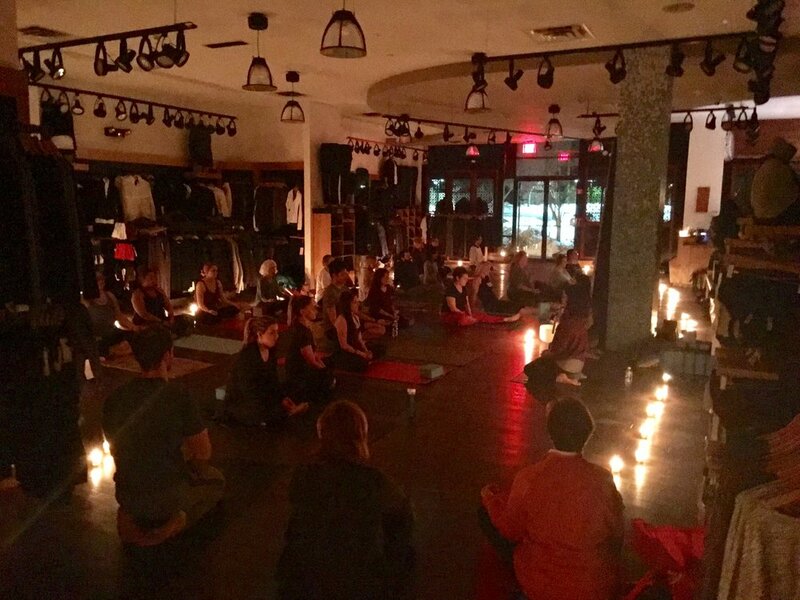 Glen Cove's own yoga and meditation hub. The space is beautiful, the teachers are so uplifting and welcoming and the practice is always perfect. Please click below to check their schedule. This elevated kids yoga class is offered at Glen Cove's beautiful yoga and meditation hub. It is open to ages 8-13. We will incorporate traditional hatha style yoga practices as well as meditations and breathwork -- this is not your typical "animal poses" kid's yoga class. This class is in conjunction with Claynation and runs as either an Art and Yoga class or just yoga. If you sign up for art as well, class begins at 4pm and drop off is at Claynation. This meditation circle is open to anyone -- daily meditators and novices. Please bring with you a cushion or blanket to sit on, a yoga mat and wear comfortable clothing. Private session are the perfect opportunity to deepen your practice and find more personalized attention. Whether you are looking to deepen your meditation practice, develop a stronger and more agile body, find more softness and calm, or dive into ceremony, I will curate sessions for your individual needs. Sessions can be done in my home studio or at your space for an additional fee. Contact me for availabilities and current rates. Thank you! I'll be in touch shortly to discuss further. I look forward to working with you.